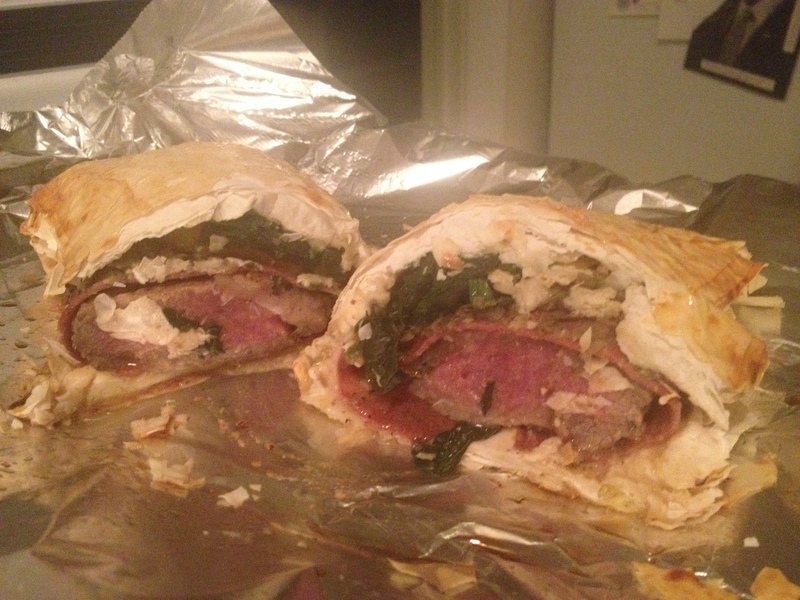 Beef Wellington…the random kitchen fridge edition! Another sign of a Hell’s Kitchen obsession is wanting to make Beef Wellington. Along with the scallops, this is another meal that Gordon throws back at contestants! This recipe is very different than what might be a normal wellington as I did not include the pate part and added turkey bacon. 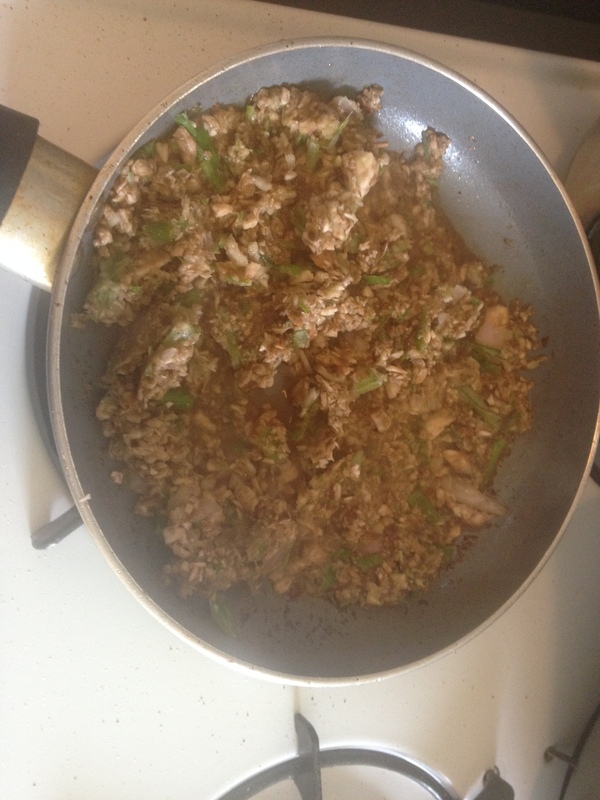 In a frying/sauce pan melt two tablespoons of butter and saute white onions and scallions. Add mushrooms and garlic. This will basically replace a pate and mushroom mixture some might use. Place mixture in a bowl for later use. In same pan, add another tablespoon of butter and heat the pan. Place tenderloin in pan, season with salt and pepper, and sear all sides roughly 2 – 3 minutes each side. Remove from pan. 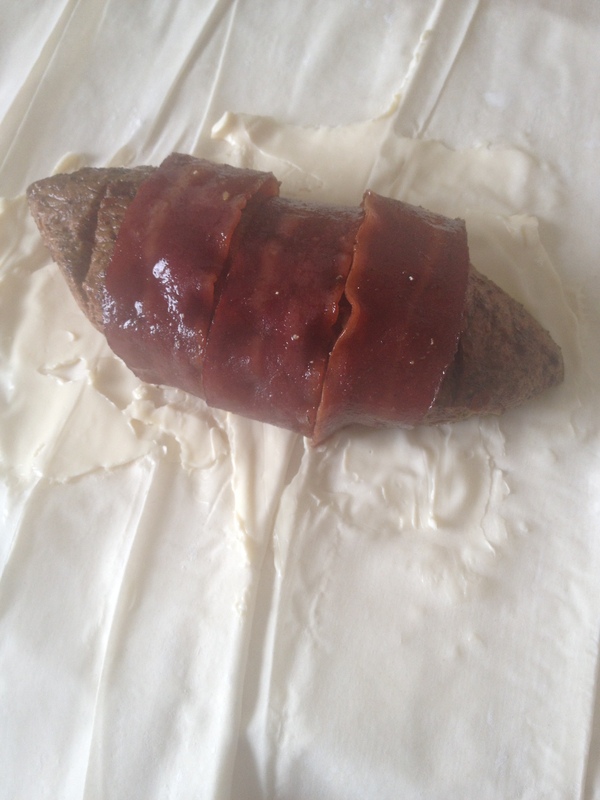 Wrap meat in turkey bacon. Most recipes call for prosciutto or a fancier meat but all I had in the house was turkey bacon. 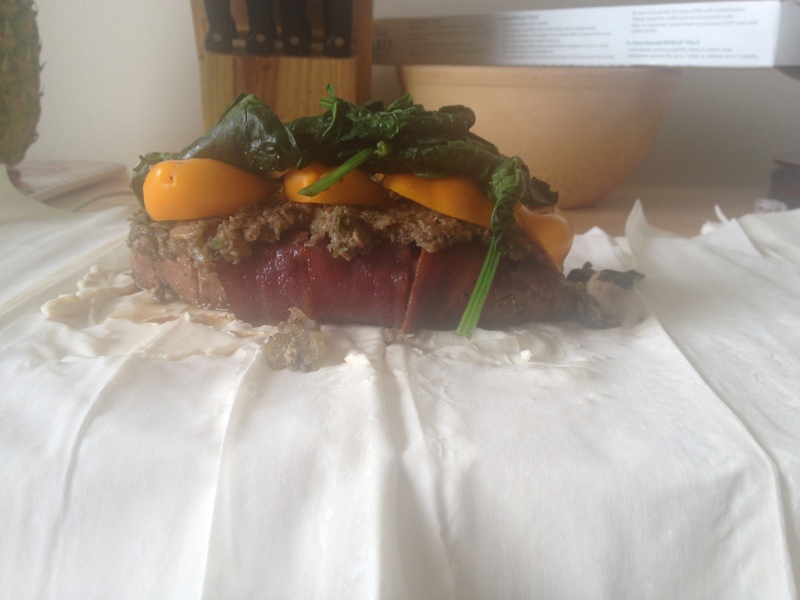 Spread out phyllo dough and place meat on top of dough. Place on top of meat the earlier mushroom/onion mixture. Add bell peppers and cooked spinach. Wrap phyllo dough around and utilize the beaten egg to brush over the phyllo dough. Bake at 450 degrees for 15 minutes then reduce down to 425 degrees for another 15 minutes until pastry is golden brown. For the first time attempting beef wellington, this turned out pretty okay. Probably not as great as Gordon’s but tasty!